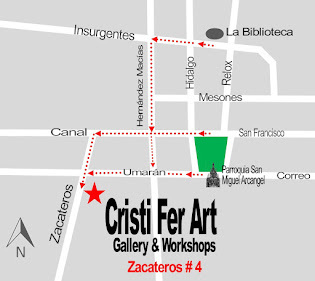 We at Cristi Fer Art Studio, offer our popular One Painting in One Day throughout June . I mention this because it was brought to my attention that some drawing/painting events offered by other artists in SMA, are discontinued through June. Cost is $85 USD and includes all the materials and RT taxi from your condo/hotel to our studio. 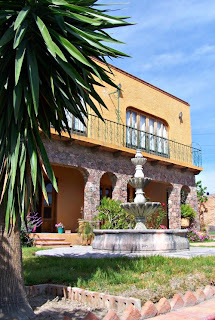 We are located in a beautiful villa with unobstructed light, 2 studios and a LARGE patio, in colonia Independencia. I also want to let you know that we are full time painters (teaching since 1989) and we teach because we enjoy to share what we love. Painting it's not a hobby or something we picked up after retirement. The workshop is not a gimmick. We designed this workshop with the visitor and beginners in mind. - My goal is to help you understand the principals of design, basic drawing and color. - It is only 3.5 hour because we realized that many who always wanted to paint don't want to commit to taking a longer course and buying expensive art materials. 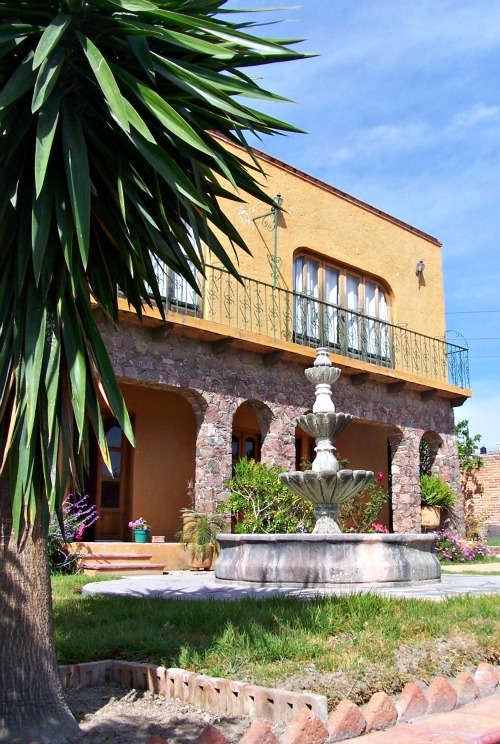 - Also many who are visiting want to take advantage of ALL San Miguel has to offer, and it's a lot to choose from. This is not a paint a drink workshop. We believe that painting in it's own right it's a lot of fun. You can get a natural high from your flowing creative juices. Tuesday you'll paint a door of San Miguel. Bring your own photo reference or use one of mine. This is not a copy a photo workshop. You'll learn the basics of drawing, composition and color. 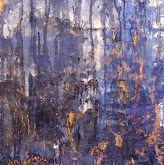 You'll use acrylic paints on canvas board 11"x 15"
Thursday it's dedicated to an easy and fun technique of creating texture and the topic is a street view of San Miguel de Allende. No need to bring a photo, the reference is provided. 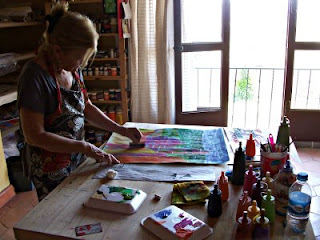 You'll use acrylics, oil pastels and paint in paper. 19.5: x 25.5". How do you get it home? We'll give you a cardboard tube.